We never go home emty handed from a Tippy Top visit. 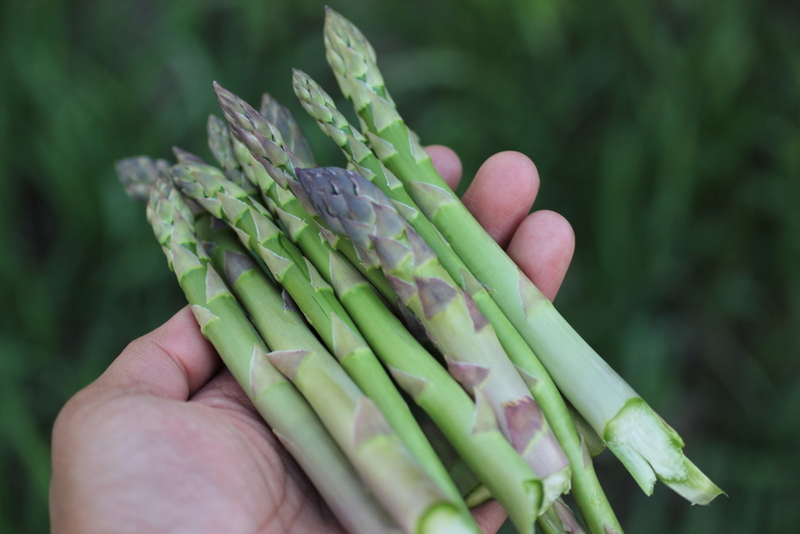 Below is one of the prize foods of the season, fresh asparagus. Keith and I simply roasted it in a cast iron pan and finished it with a bit of sea salt and good Wisconsin butter. 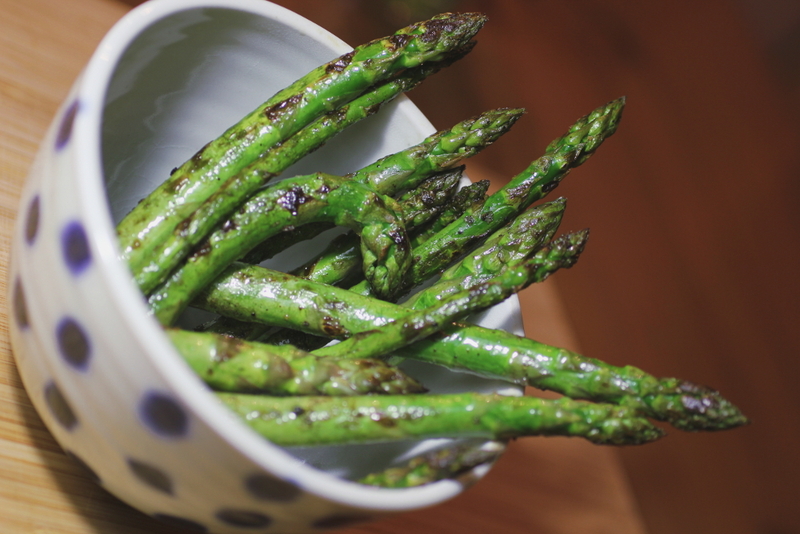 Eating asparagus this way and cooking it just half and hour from being picked is simply one of the most delicious things on earth! Here the asparagus stalks sit in a bowl made by Diana Johnston. I bought it from the recent Clay in May weekend along with some cups that will be perfect for a tea party or two this season. Another event that we always look forward to is the Windy Ridge Pottery spring kiln firing. The event was the weekend before Clay in May. I bought this pretty spectacular bowl made by Joe Cole. The other day, I visited with Jean and Ayla at the Silver Star Inn. Ayla and I looked for morels on the property. After about two hours, we came up with some fiddleheads, pheasant back polypores, and each of us found one morel! 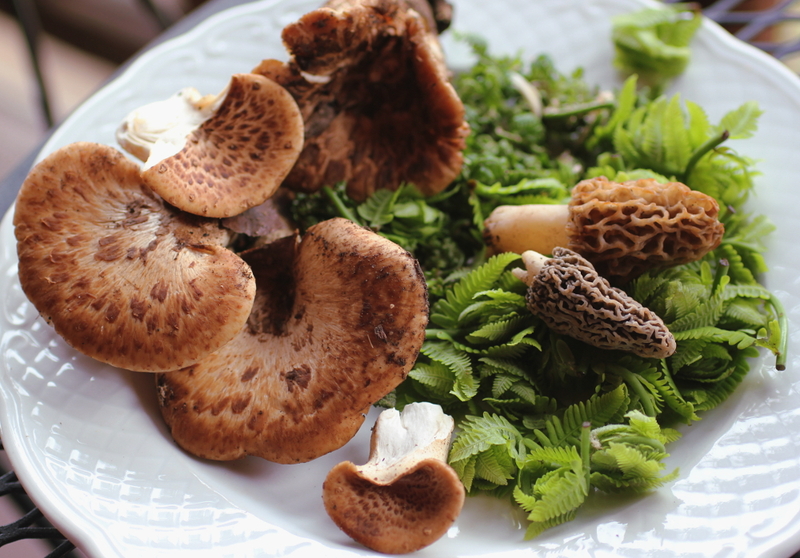 We were a bit disappointed to have found only two morels but took our woodland treats and made a fine salad. 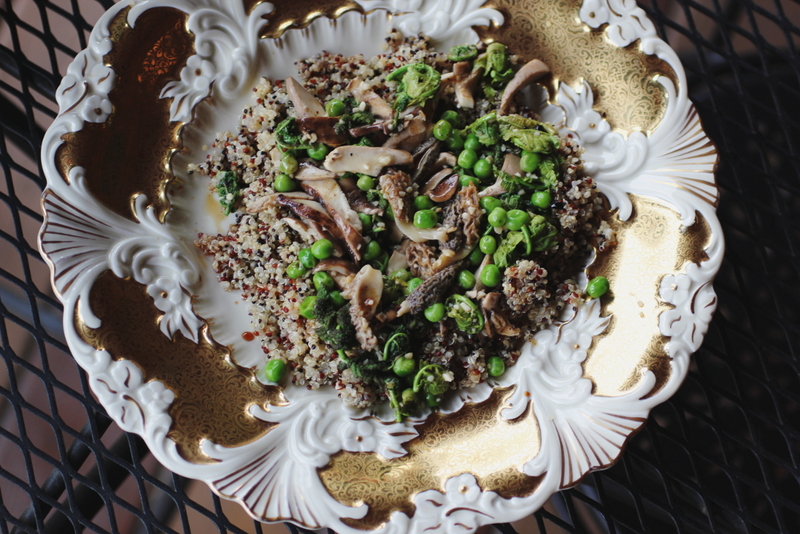 Quinoa topped with garlicky and butter mushrooms, fiddleheads, and peas. 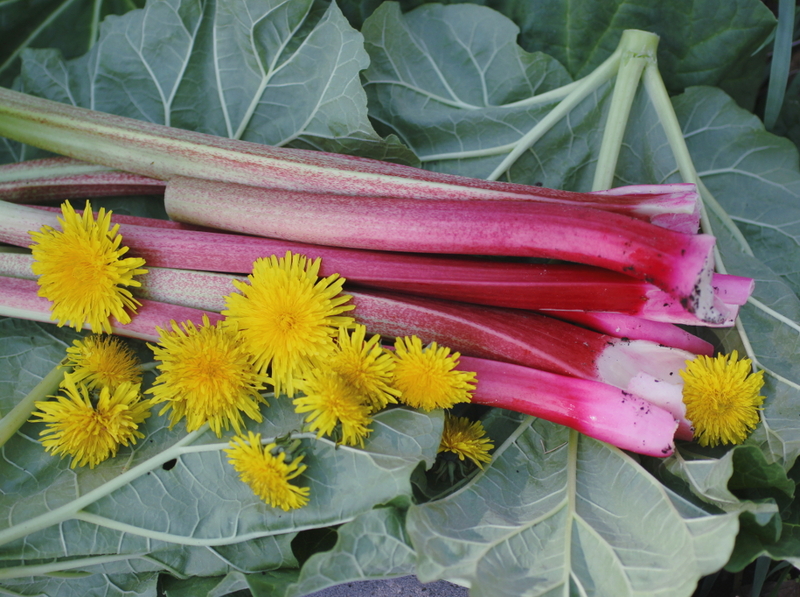 This morning I planted some daisies and dahlias then I harvested the first stalks of rhubarb from the garden. 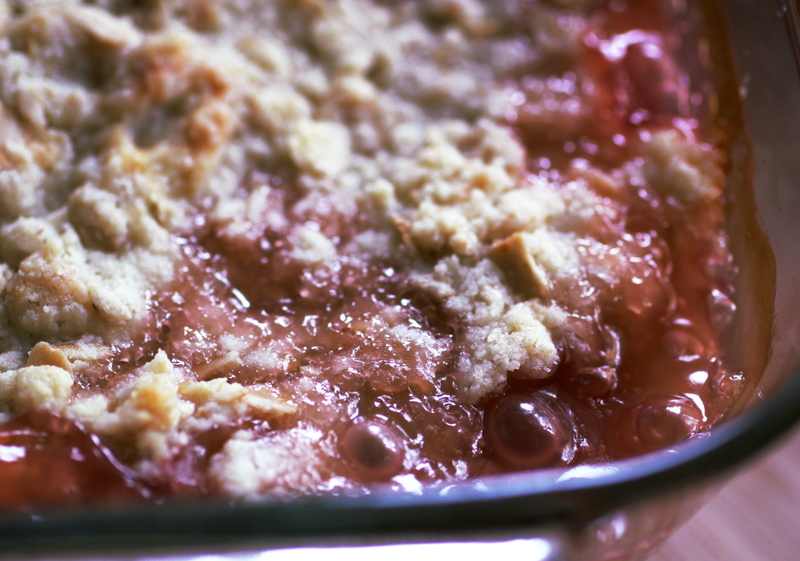 After gardening, I thought it would be nice to make rhubarb crisp. Because the dandelions had just freshly opened, I infused the rhubarb and sugar mixture with the flower petals. It was a wonderful combo! 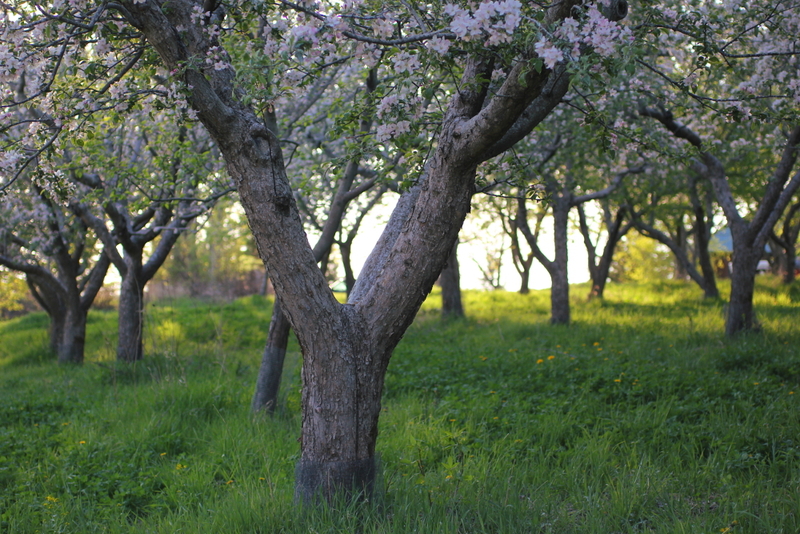 Thank goodness for spring and for the many more beautiful things to come. Cheers and happy weekend!